I created a design in Inkscape and I was having an issue with the design converting to PDF. 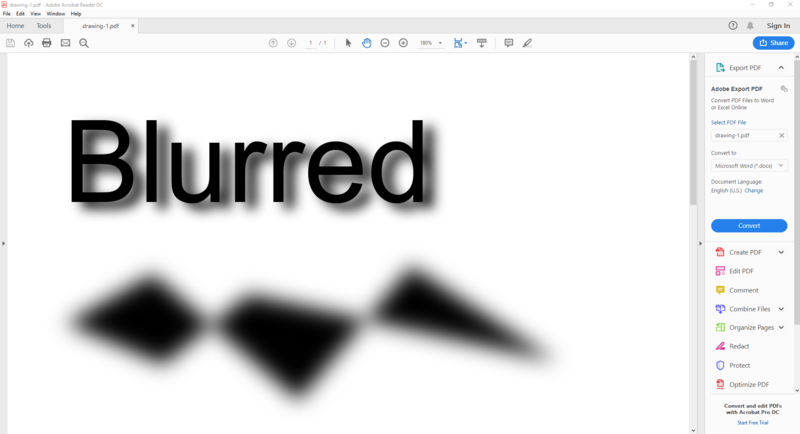 The problem is whenever I export it to PDF, the blurred shadow disappears in the PDF file. I need this solved ASAP because I need it to send it for print. I hope you understand. As a first aid try to insert the shadow as separate object. Rasterize it. Edit > Make Bitmap Copy generates a rasterized copy. Set the rasterizing resolution high enough in the preferences. Not the answer you're looking for? Browse other questions tagged print-design inkscape shadows or ask your own question. Why RGB98 printing from photoshop and PDF makes different results?